How do I build a custom report from my course evaluations? This feature allows Instructors to create custom reports across multiple projects based on course enrollment and/or question criteria. 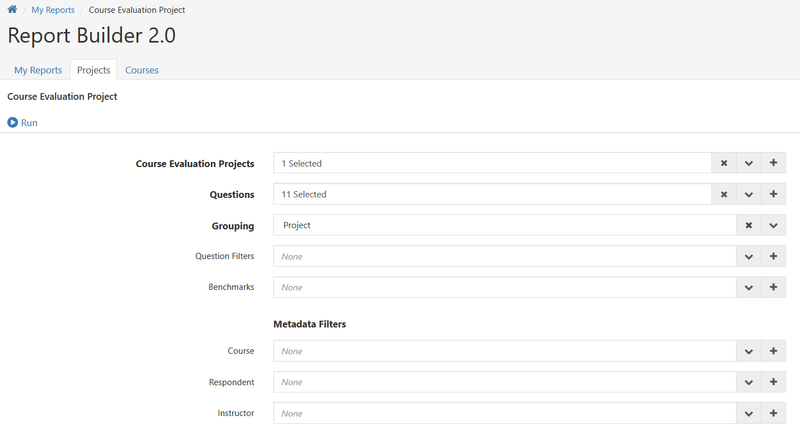 This feature also allows Instructors and Teaching Assistants to create custom reports across multiple projects based on course enrollment and/or question criteria. Reports created in Report Builder 2.0 are saved within the user’s Report Builder 2.0 dashboard and can be copied, edited, and/or exported. 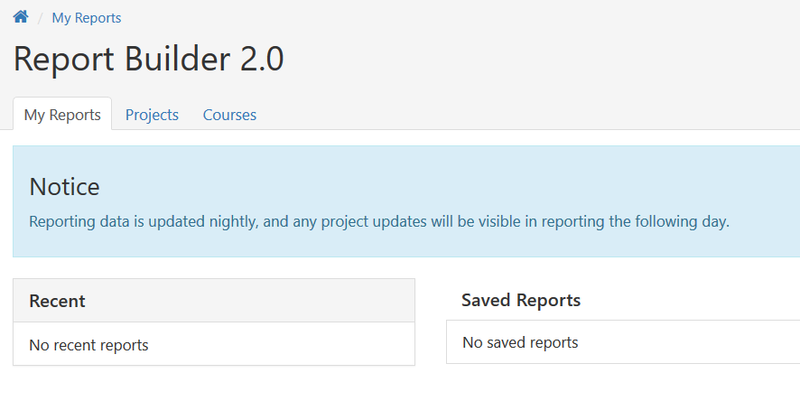 All of the reporting functionality in Report Builder 2.0 can be used for both Course Evaluation Projects and General Survey Projects. Select Report Builder 2.0. After clicking on Report Builder 2.0, you will be dropped off on the My Reports dashboard, your central location for all reports created from Report Builder 2.0. Here you can view your most recent reports, saved reports and shared reports from other users. Each category will list the most recent five reports, or click View All to view the full list for each category. 2. Search for and/or select your desired criteria > Apply. Select multiple criteria for each, or you can apply your selections, then click the plus icon to select and apply additional. To remove criteria, expand the applied selection(s) and deselect. 3. Click Run after your selections have been applied to generate your report.